Bronze sculptures of Capt. 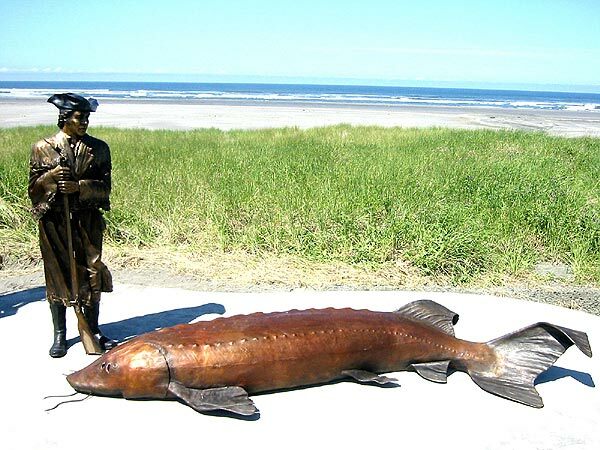 William Clark and a 10-foot-long sturgeon. Created by sculptor Jim Demetro from Battle Ground, Washington, now rests along the 8.2-mile Lewis and Clark Discovery Trail between Ilwaco and Long Beach.